The Sony PXW-X320 is a high-performance SxS memory camcorder which inherits field-proven operability from the reputable PMW-320. The Sony PXW-X320 has become a part of the XDCAM HD422 family, comes equipped with cutting-edge imaging technology - three 1/2-inch-type Full-HD Exmor CMOS sensors with an extremely high S/N ratio - with Flash Band Reducer feature to provide outstanding picture quality. The Sony PXW-X320 supports XAVC offering high quality content creation in the HD domain. In addition to XAVC, MPEG HD422, MPEG HD, MPEG IMX, and DVCAM are supported. Two HD/SD-SDI, HDMI, i.LINK™, and composite outputs provide a wide range of AV and IT interfaces. 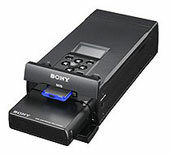 The Sony PXW-X320 also supports wireless operation using an optional adapter, the CBK-WA101. This enables easy and quick clip data transmission to broadcast stations, saving the time and transportation cost of shot clip delivery. 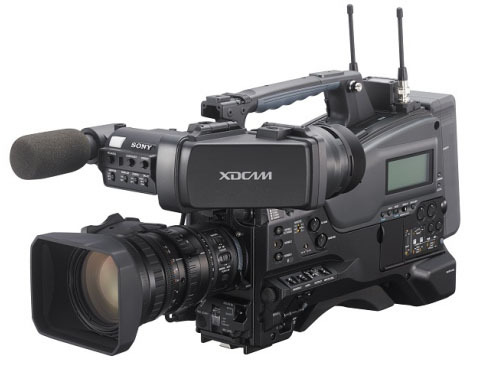 With various functions inherited from Sony's world-acclaimed XDCAM camcorders and yet highly cost effective with lens included, the PXW-X320 is an ideal choice for many different camera professionals, from those engaged in news gathering, when speed is the key concern, to those who produce TV programs and documentaries, when quality is crucial. Sony PXW-X320 Offer high resolution, high sensitivity (F11 at 59.94 Hz / F12 at 50 Hz), low noise (60 dB), and a wide dynamic range. Sony PXW-X320 Includes Full HD (1920 x 1080) 59.94i/50i/29.97p/25p/23.98p and HD (1280 x 720) 59.94p/50p, as well as XAVC Intra at 100 Mbps, XAVC Long at up to 50 Mbps, MPEG HD422 at 50 Mbps, MPEG HD at up to 35 Mbps, MPEG IMX at 50 Mbps and DVCAM at 25 Mbps. Interfaces include 2 x SD / HD-SDI, HDMI, USB and i.Link. Supports wireless operation using an optional wireless adapter, the CBK-WA101, for live streaming via an IP network. Supplied with a 16x high definition auto-focus optical zoom lens. The Sony PXW-X320 incorporates three 1/2-inch-type Full HD Exmor CMOS sensors (1920 x 1080) to achieve high resolution, high sensitivity (F11 at 59.94 Hz / F12 at 50 Hz), low noise (60 dB), and a wide dynamic range to give more freedom of expression for creative shooting. In addition to existing noise reduction features, the Sony PXW-X320 also includes a three-dimensional noise reducer. This not only detects vertical and horizontal direction in a frame picture but also noise components in a time axis, utilising correlation characteristics between video frames. Using this feature, the S/N ratio is improved to 60 dB, which is the highest level of noise reduction in a 1/2-inch-type Full HD shoulder camcorder. The Sony PXW-X320 incorporates XAVC in the HD domain at a 100 Mbps data rate, enabling the creation of rich content with 10-bit quality. It is capable of recording XVAC Intra at 1920 x 1080 Full HD 59.94i, 50i, 29.97p, 25p and 23.98p, or 1280 x 720 HD 59.94p and 50p. The camcorder can also record Full HD video (1920 x 1080) at up to 50 Mbps using XAVC Long and MPEG HD422, as well as MPEG HD at 35 Mbps / 25 Mbps, MPEG IMX at 50 Mbps, and DVCAM at 25 Mbps in MXF file, as standard supported formats. With a large, easy-to-read 3.5-inch QHD colour LCD viewfinder as a standard accessory, the PXW-X320 offers outstanding resolution of 960 x 540 pixels, strongly supporting critical focus control during HD shooting. The viewfinder cover can be flipped up to enhance visibility when the camera is set on a tripod. 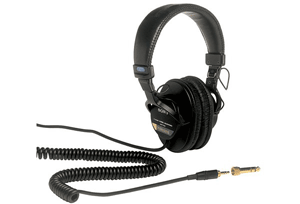 The Sony PXW-X320 is designed to support wireless operation using an optional wireless adapter, the CBK-WA101, which can be attached without any additional cables. Using this adapter, you can stream out pictures for live shooting via an IP network. After shooting, you can select a recorded proxy or high resolution* file from the list and upload it to an on-premises server or to a cloud service via a mobile Wireless LAN router or 3G/4G/LTE device. The adapter also provides live monitoring and remote control of the Sony PXW-X320 by mobile tablet or smartphone with mobile application software. * A USB connection is required. Incorporating a newly developed algorithm, the Sony PXW-X320 detects and processes flash banding inside its hardware before recording begins. 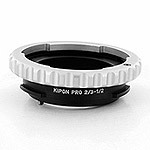 This provides greater flexibility in reducing flash banding across different shooting environments. This feature can be disabled from the menu if you want to use Content Browser for flash band reduction after shooting. You are free to choose to reduce flash band before or after shooting, depending on each shooting circumstance. The Sony PXW-X320 has a User Menu feature that is typically associated only with high-end camcorders. This feature allows you to pick and organize frequently used menu items much in the same way as the bookmark feature of a web browser. By using this feature, you can save a lot of time - you won't have to repeatedly search for specific menu items - and experience more efficient operation. Two lines of SDI output connection are provided by the Sony PXW-X320. This enables, for example, the director and camera operator to concurrently check shot content via two separate monitors. Also, for monitoring purposes this camcorder can be connected via HDMI to professional displays as well as domestic-use TVs with an HDMI connector. The i.LINK connector can be used for HDV when SP 1440 (FAT) mode is selected and for DV when DVCAM (FAT) mode is selected, for both input and output signal flows. With a 1/2-inch type bayonet lens mount, the Sony PXW-X320 is supplied with a 16x high definition auto-focus optical zoom lens. The lightweight Sony PXW-X320 has a low power consumption of 25W (with viewfinder, lens and microphone while recording).